Lauren Panasevich always knew she wanted to advocate better dietary habits to her patients—it’s just that now, instead of counseling two-legged clients, she’s added their four-legged pets. 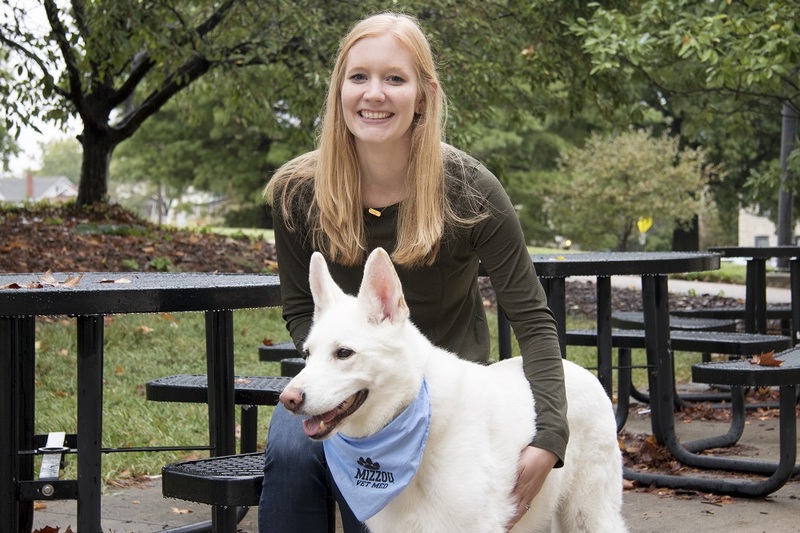 Panasevich, a third-year vet student at the MU College of Veterinary Medicine completed her bachelor’s degree in animal science and her doctorate in nutrition sciences at the University of Illinois; however, it was an opportunity “across the pond” that would lead her to Mizzou. At first, Panasevich wasn’t planning on Mizzou—she thought she’d stay in Illinois. She ended up applying because of proximity, what she found was that Mizzou was different. Students, staff and faculty at the Vet School volunteered nine cats and five dogs that participated in a six-month weight loss challenge hosted by Nestlé Purina. MU’s clinical nutrition service and Panasevich provided guidelines and nutrition counseling for the pet owners as well as a special diet. Participants were weighed and health assessments were performed monthly to monitor progress. All 14 participants lost weight during the challenge. The “top dog” lost 27.8 percent of his body weight while the top cat lost 24.1 percent. But it’s not just about losing weight. Panasevich knows that nutrition affects so many different diseases, both in four-legged pets and their two-legged owners. 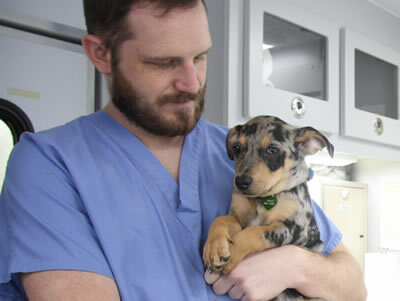 She knows that in diseases such as cancer, good nutrition and responsible diet choices that she used to suggest to human patients directly translates to companion animals. Panasevich credits the caring faculty and staff for her success at Mizzou. She points to the open-door policies of faculty as well as the genuine caring nature of administrators for helping her to thrive. Following her clinical rotations and graduation, she plans on working at a veterinary practice and then perhaps a transfer to a role in the pet food industry.